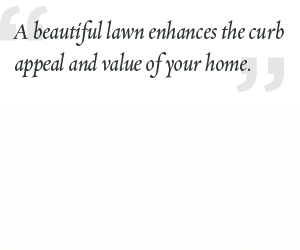 TurfPro can help you establish a thick, green lawn with consistent color and fewer weeds. Turf will be evaluated to identify current conditions: grass type, turf density, thatch, possible diseases, soil type, damaging insects, watering and weed control needs. 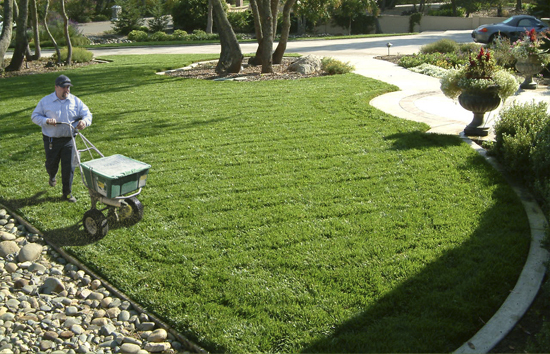 Turf will be fertilized 7-10 times per year to create good health, vigor, and year-round color. 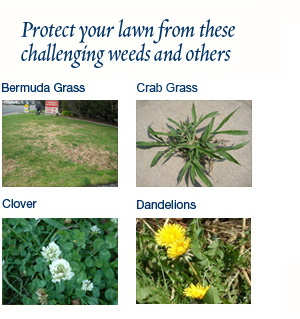 Weed control will be applied to turf areas as needed to control broadleaf weeds. One application of pre-emergent will be applied in the spring to control broadleaf weeds and to deter crabgrass. Fungicide and/or insecticide will be applied as needed to help reduce damaging fungus and mold growth. Planter beds and ground cover will be fertilized twice in the spring and once in the fall. Post-emergent weed control will be applied to beds and hardscape areas each visit. Applications of pre-emergent weed control will be applied both in the spring and fall to planter bed areas.